There were rumours about HTC launching budget phones for mid level buyers floating around yesterday. Today HTC itself announced launch of 2 budget phones, Desire 200 and Desire 600 which will be shipped by July end. The rumours were correct as far as the screen size is concerned. The Desire 200 will come with a 3.5-inch screen with 320 x 480 resolution LCD display. It will run on a single core 1GHz Qualcomm Snapdragon S1 CPU and have 512MB RAM and 4GB of internal storage with expandable memory slot. It will be powered by a 1230 mAh removable battery. The smartphone will also feature a 3G modem for HSDPA, which will give speeds up to 7.2Mbps. The Desire 200 will come with a 5 megapixel, f/2.8 fixed focus camera with 34 mm lens that supports VGA video recording as well as a pair of Beats audio in-ear headphones. 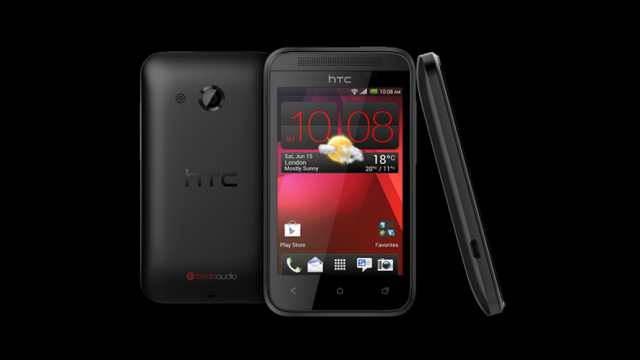 The Desire 200 will also feature the HTC's Sense UI. Considering the above factors and the competition in the mid level smart phones market, these two phones should be available at sub Rs.15000.00 levels however the final price will be known only in July.